The forests and grasslands of KHAO YAI NATIONAL PARK are teeming with wildlife, so much so that UNSECO has declared the whole area a World Heritage site. You’re likely to see giant hornbills here, flicking berries into their mouths with their magnificent double-decker yellow beaks, plus sambar deer, macaques and monitor lizards at the very least. A guide is compulsory for all bar one of the park’s trails, and as you’ll need transport to move between the main attractions, it makes sense to sign up for a tour; Green Leaf Tours [full-day tour starts at 8am | ฿1300, under-10s ฿650; combined 1.5-day tour ฿1500/750, price includes national park entry fee, lunch, snacks and drinking water] are recommended for their varied programme and the wildlife-spotting abilities of their English-speaking guides. 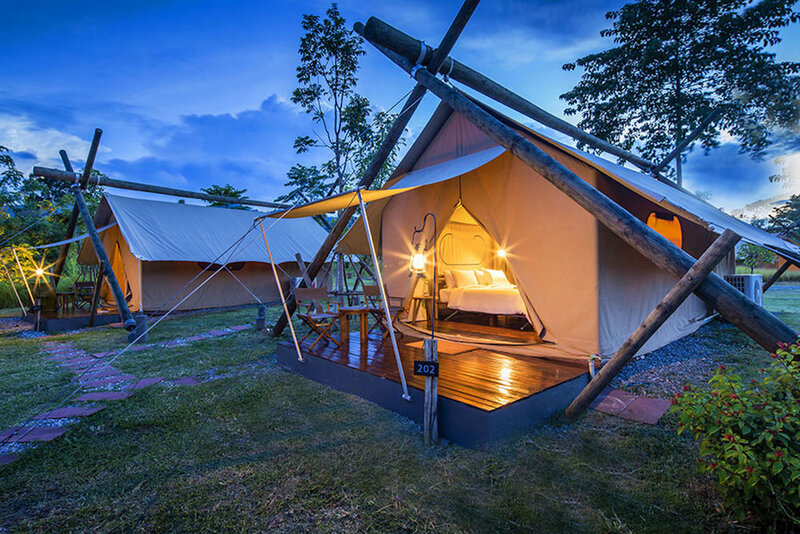 The itinerary is flexible – you might make an unscheduled stop to watch gibbons swinging through the trees by the side of the road, for example, a whooping, crashing highlight of any trip to Khao Yai – but their tours usually consist of some easy trekking interspersed with visits to waterfalls and scenic viewpoints, and then a late-afternoon search for elephants. You’ll start with a couple of hours of JUNGLE TREKKING, on the lookout for hornbills, black giant squirrels and the like; it’s nothing strenuous, so suitable for kids of all ages, but make sure you wear long trousers and closed shoes (leech socks are provided!). This is usually followed by a visit to HAEW SUWAT WATERFALL, famous for its appearance in The Beach. After lunch, you’ll probably spot what’s believed to be the park’s only Siamese crocodile on the nearby PHA KLUAI MAI trail before visiting a couple of lookouts – the views of hills clad in thick forest from clifftop PHA DIAO DAI in particular are breath taking. You’ll finish the day with a stop at a salt lick, where Asian elephants gather to gorge on minerals and come down to the water to drink, an amazing sight and a fairly common one – you’ve got a better chance of seeing these gentle giants at Khao Yai than anywhere else in Thailand.